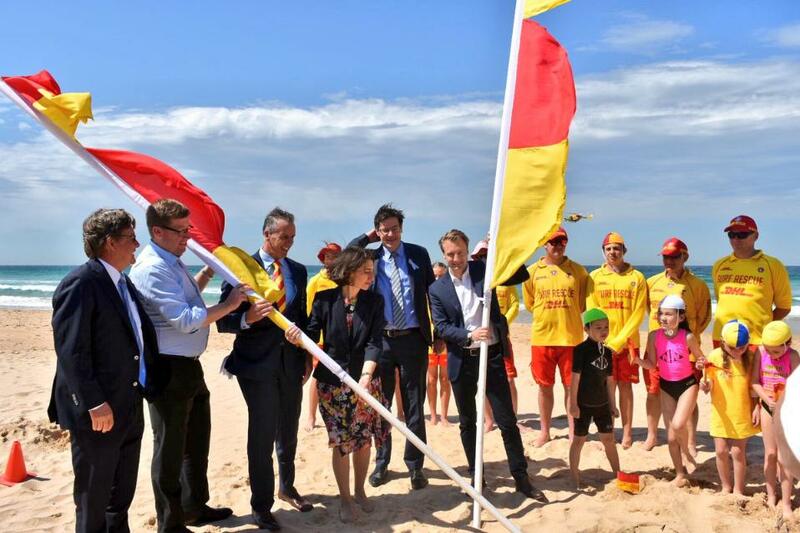 The NSW Premier, the Hon Gladys Berejiklian, Minister for Emergency Services Troy Grant, and the Member for Manly James Griffin joined surf lifesavers and Nippers at the famous North Steyne SLSC (Manly Beach) today to officially raise the flags on the new season. With patrols commencing across the majority of the state from tomorrow, the Premier thanked the more than 20,000 active volunteer surf lifesavers who will contribute their time to keeping the public safe on NSW beaches each weekend and public holiday until April 2019. “I would like to sincerely thank every volunteer for their vigilance and commitment to the community and visitors to our state’s beautiful beaches. “Surf Life Saving has an enormous impact beyond the red and yellow flags in areas like water safety education, engaging our young people, encouraging healthy outdoor lifestyles and helping to build strong and resilient communities,” said the Premier. The extended trial gets underway at 15 locations across NSW from tomorrow. Additionally, an important document was also released to the community at Friday’s ceremony, with the NSW Coastal Safety Report released for the third successive season with a number of key findings made. The report found that NSW surf lifesavers rescued more than 4300 people last season and contributed more than 660,000 hours on patrol. Sadly, there were 39 coastal drowning deaths, six more than was recorded the previous year, and is just above the 10-year average figure of 38. Of most concern however, was that the majority of these occurred to males who got into difficulty swimming outside patrolled locations. Educating beachgoers about the importance of the flagged area will continue to form a vital part of surf lifesaving’s safety messages as summer looms. 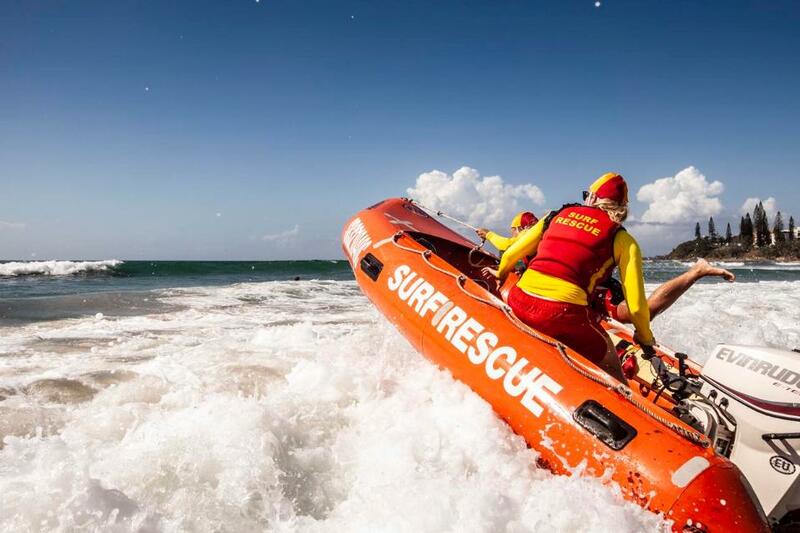 Minister for Emergency Services, the Hon Troy Grant MP, added that the increasing capability within Surf Life Saving to protect lives outside patrol hours and locations, and collaboration with other emergency services may hold the key to preventing coastal drownings. “Surf Life Saving now responds to coastal incidents and emergencies on a 24/7 basis and a recent MOU signed with the SES means surf lifesavers will be available to support the community during natural disasters and emergencies away from the beach,” said Minister Grant. SLSNSW CEO Steven Pearce thanked the Government for its support of Surf Life Saving in NSW and urged the public to observe the key surf safety messages this season to keep themselves and their families safe. “This season, we want to draw a line in the sand. We share the NSW Government’s concern at the number of coastal drowning deaths that continue to occur along our coast. “From this Saturday our volunteers will be back on the beaches doing what they do best, which is keeping an eye on the thousands of people who visit our beautiful coastline. “We make no apologies for continuing to push our safety messages. It’s really simple, we encourage all beachgoers to stop, think and plan. Don’t swim at unpatrolled locations, know your limitations and learn how to spot and avoid rip currents,” said Mr Pearce. As volunteer surf lifesavers raise the flags on a new patrol season, a report on coastal drowning deaths shows a worrying increase in fatalities during 2017/18. The 2018 Surf Life Saving NSW Coastal Safety Report details coastal drowning figures and identifies trends and areas of concern for surf lifesaving service providers. There were 39 coastal drowning deaths, up 6 from the previous year and is just above the 10-year average of 38. Summer proved to be the most deadly with over 55% (22 people) drowning between December and February. In December alone, 10 people drowned, more than double the 10 year average. Overwhelmingly males continue to represent the majority of drowning deaths, however there was a sharp increase in the number of females who drowned with 7 cases recorded (almost double the previous year). Again, 20-29 year olds drowned the most, accounting for 26% of deaths while 40-49 year olds accounted for 23%. Sadly there was a spike in coastal drowning deaths in those aged under 15 years. This season there were three high profile incidents with victims aged between 10 and 14, with two cases a direct result of rip currents. 36% of people drowned while swimming, predominantly as a result of getting into difficulty in a rip current, and 18% died rock fishing. There was a concerning rise in the number of drowning incidents that occurred within 1km of a patrolled location, accounting for 62% (24) of drowning deaths. Regions which experienced the main increases in drownings included: Far North Coast, Mid North Coast and the Illawarra. Drownings were down in Sydney and for the second year in a row, there were no coastal drownings recorded on the Lower North Coast. The report was presented to the NSW Premier The Hon Gladys Berejiklian by SLSNSW CEO Steven Pearce as part of the traditional Raising of the Flags ceremony at Sydney’s Manly Beach on Friday. “This report and its findings will play an important role in our understanding of what is happening on the NSW coastline and will help us better position our assets and people,” said Mr Pearce. Two drownings on NSW beaches in 48 hours has prompted lifesavers to issue a safety warning ahead of the new patrol season, which gets underway across the state next weekend. The warning follows the tragic death of a 37-year-old man who got into difficult while snorkelling at Racecourse Beach near Kioloa in southern NSW on Saturday. While in the early hours of Monday morning a man thought to be in his 70s couldn’t be revived after a boating accident near Kurnell. In addition to the coastal drownings, surf lifesaving assets were also tasked to attend a number of incidents on the weekend. These included responding to a stranded kayaker at Hyams Beach, a distressed kite surfer at Towradgi, and a number of medical episodes. Fortunately all of the other incidents had positive outcomes. Sadly there have been at least 5 coastal drowning deaths since July and with the hotter weather looming there is a concern among the lifesaving community that safety messages still aren’t sinking in. “It has been a very challenging few days on the beach, and unfortunately these tragic incidents are a reminder of the power of the ocean,” said SLSNSW CEO Steven Pearce. “With the new patrol season upon us it’s an ideal time to reiterate some of the most important safety messages. “As surf lifesavers we want everyone to enjoy their time at the beach safely and it’s crucial that people make the effort to swim at a patrolled location and between those red and yellow flags,” said Mr Pearce. Other safety tips that are import include arming yourself with as much information as possible such as weather forecasts and tide changes, letting people know your plans, wearing the correct safety including a lifejacket if fishing, and knowing your limitations in strong swell conditions.